This article is the eighth in a series about the epidemic of opioid addiction and how NEOMED is training future physicians and pharmacists to help. 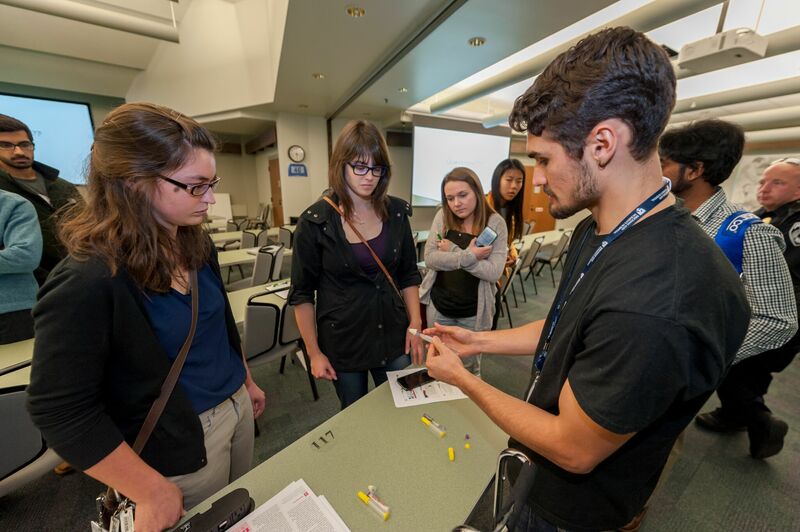 During National Advocacy Week, held from October 16-20, NEOMED students took a first-hand look at “Reversing the Opioid Epidemic,” this year’s theme for the annual event. 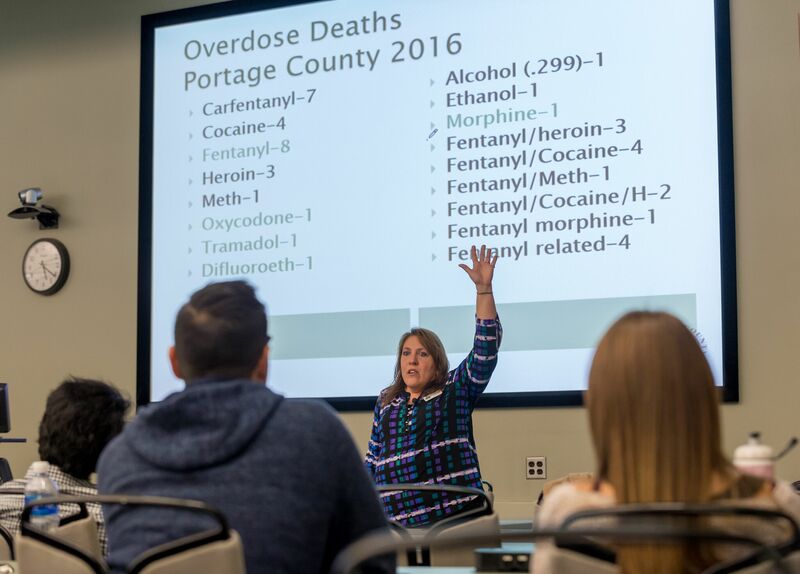 At a Project DAWN (Deaths Avoided with Naloxone) event, students received hands-on training by Becky Lehman, MPH, director of health education and promotion for the Portage County Health Department, in steps to take. Topics included how to administer naloxone in the case of an opioid overdose, why the opioid epidemic is so severe in Ohio, and how students can combat the issue. Lehman (shown at center of photo) breaks down the number of overdose deaths for 2016 in Portage County that were associated with each opioid drug. Carfentanyl, an elephant tranquilizer drug that is stronger than heroin, was responsible for one of the highest number of deaths. As emphasized to all NEOMED students in their regular curriculum, Lehman reiterated the importance of teaching patients to properly take prescription medicines and to dispose of unused prescription pills so that they don’t fall into the wrong hands. 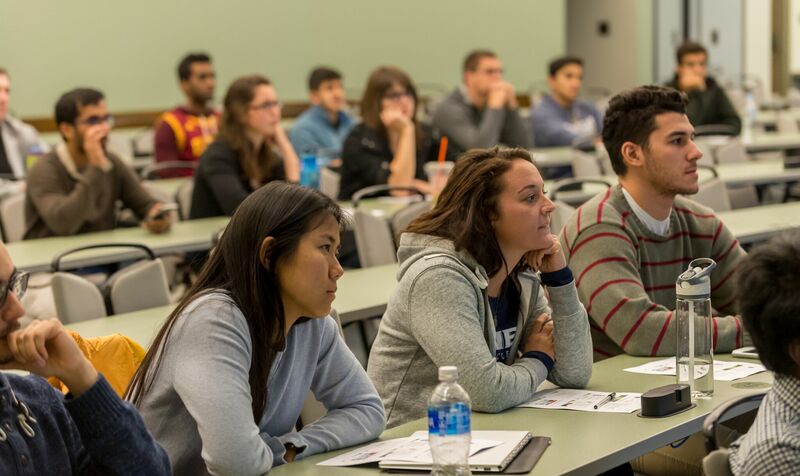 First-year College of Medicine students Katherine Wu, Maria Libertin and Amir Mansour (pictured left to right) listen closely to Lehman discuss the key components of Project DAWN, an overdose education and naloxone distribution program. Austin Hilt (left), a second-year College of Medicine student, was one of the student organizers of NEOMED events for National Advocacy Week 2017: Reversing the Opioid Epidemic, presented under the auspices of The American Medical Association (AMA), Ohio State Medical Association Medical Students Section and Public Health Interest Group. 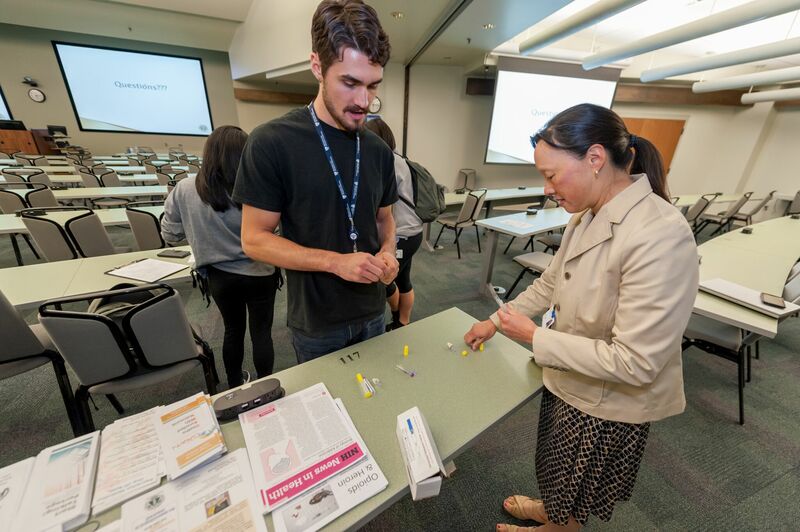 At right in the photo, Amy Lee, M.D., a professor of family and community medicine, demonstrates how to assemble a device that administers intranasal naloxone and can be found in Project DAWN kits. Laura Wilburn (left), a second-year College of Medicine student, watches Hilt assemble an intranasal naloxone device before receiving her Project DAWN kit. NEOMED students who are residents of Portage County and completed the training were eligible to receive a kit after the session. Portage County residents can sign up to receive a Project DAWN kit and training through the Portage County Health Department and Mental Health Recovery Board of Portage County. –Katherine Wu, a first-year College of Medicine student, contributed this article.